Food For Joy! 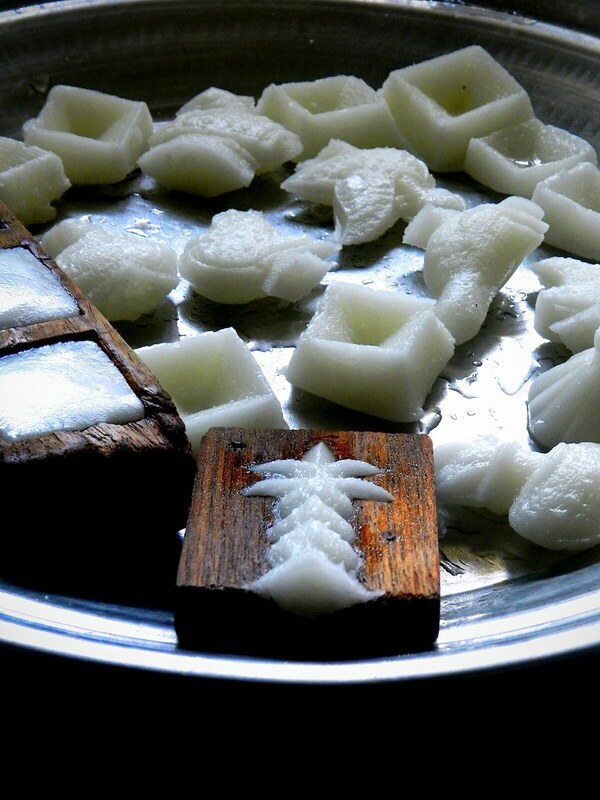 Sakkare Achchu (ಸಕ್ಕರೆ ಅಚ್ಚು - Sugar Moulds) - Food For Joy! In a few hours the Sun will be entering a new constellation and marking the arrival of New Year and spring for Indians. In the Northern parts of India and Northern Karnataka people venture into kite flying. A lot of celebrations prevail throughout India and Nepal with a lot of ardor. “Soorya” or the “Sun God” would enter the Capricorn Constellation and hence the name “Makara Sankranthi”. In Karnataka it would be a festival for harvesting for farmers and agriculturists on the Kaveri Belt. 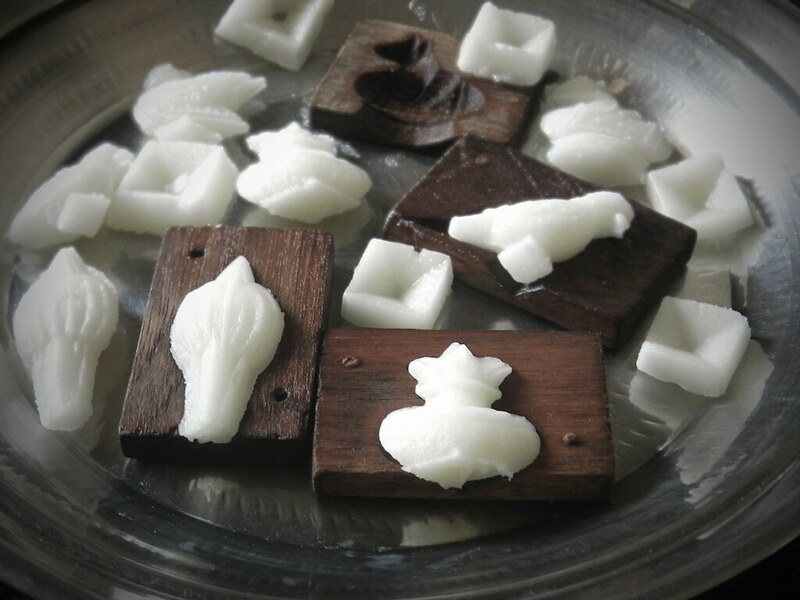 Young girls and women would wear their newest clothes and exchange “Ellu Bella” (A mixture of white Sesame Seeds, Chopped dried coconuts, roasted groundnuts and jaggery) and “Sakkare Achchu” (Sugar Dolls) with their dear ones. Back in Udupi, Sankranthi is not celebrated as much it is in other parts of Karnataka. 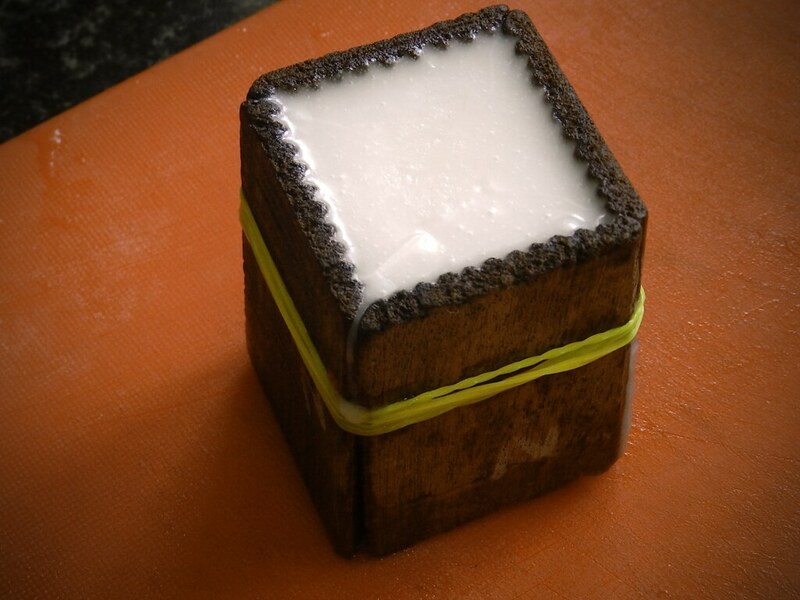 When I was young one or two of these sugary models used to end up in my house along with “Ellu Bella” and sugarcane. The store bought sugar models are very hard to eat. Making them at home gives them a softer texture and those with a sweet tooth would love to delve into this sugar heaven! Nobody prepares “Sakkare Achchu” as part of daily life. 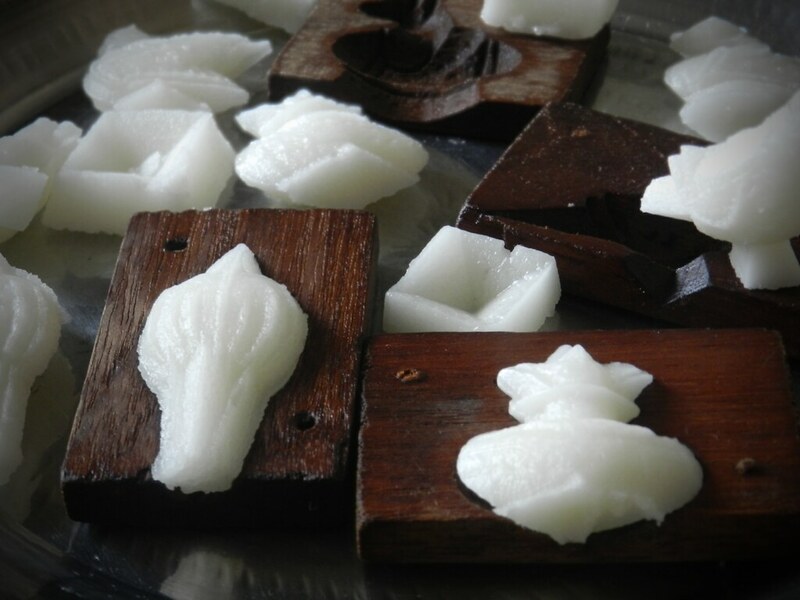 But every year in the month of January, most women get into making these at home out of pure love, devotion and dedication. My intention of posting this is just to retain the culture and traditions that were followed ages ago. I’m sure the generations to come would need this kind of exposure to know the intricacies of certain recipes that hail from ancestors. 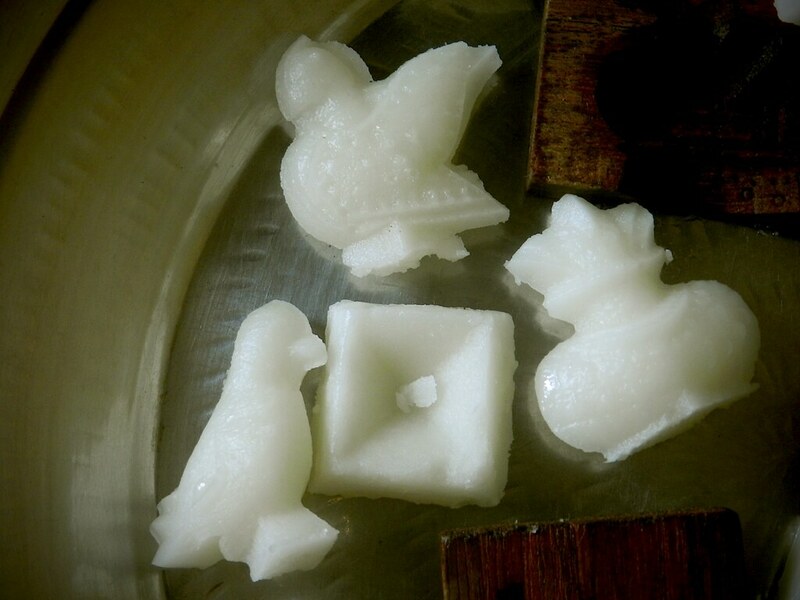 Sakkare Achchu (Sugar Moulds) is a celebratory sweet prepared during Sankranthi festival that comes every year in the month of January when the Sun enters the Capricorn Constellation. Note: You need two people to make this. You can make this alone as well. But you need to prepare yourself for the procedure well in advance. 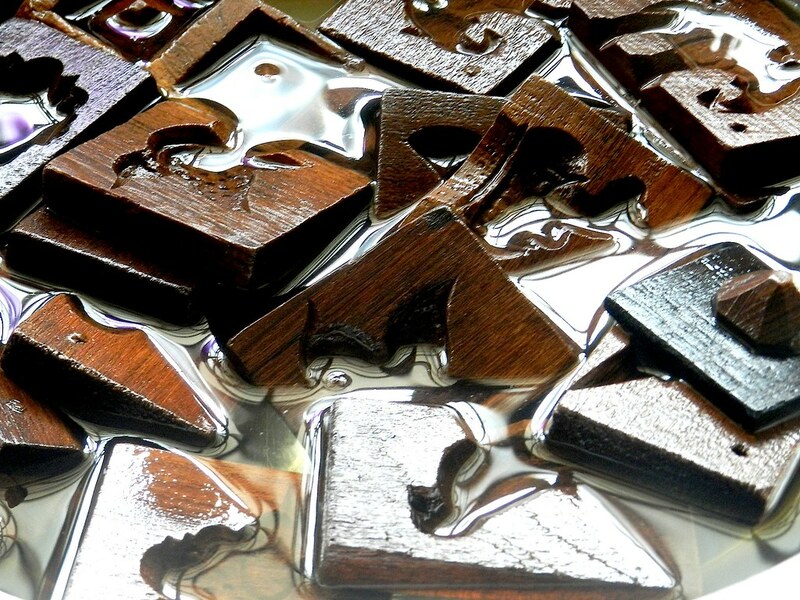 Step 1: Soak the wooden moulds in a tub of water overnight or for 6 - 7 hours. Keep it soaked until you start the preparations. Step 2: In a bowl, add sugar and water and keep it aside for an hour. Step 3: Mix the solution well. Keep it on a stove top on a low flame and add yoghurt. 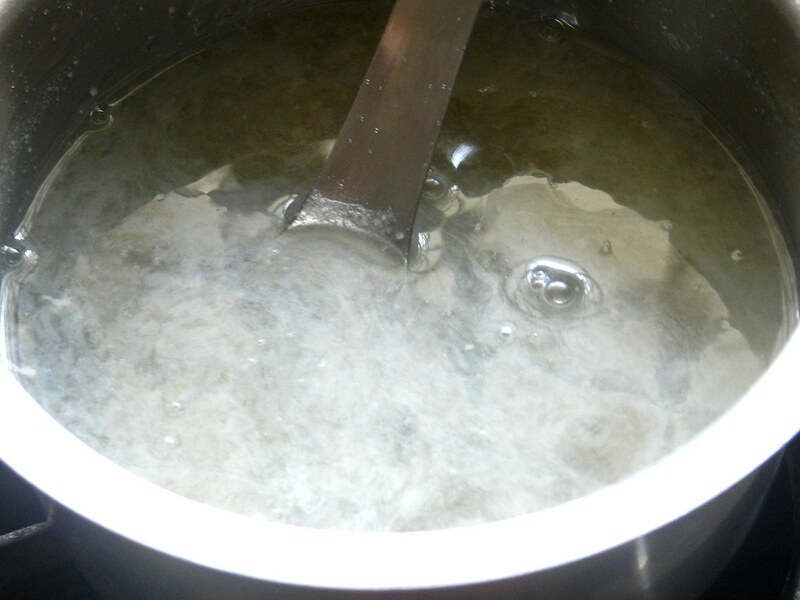 Step 4: Boil the solution until all the sugar dissolves and the solution starts bubbling. Turn off the heat. 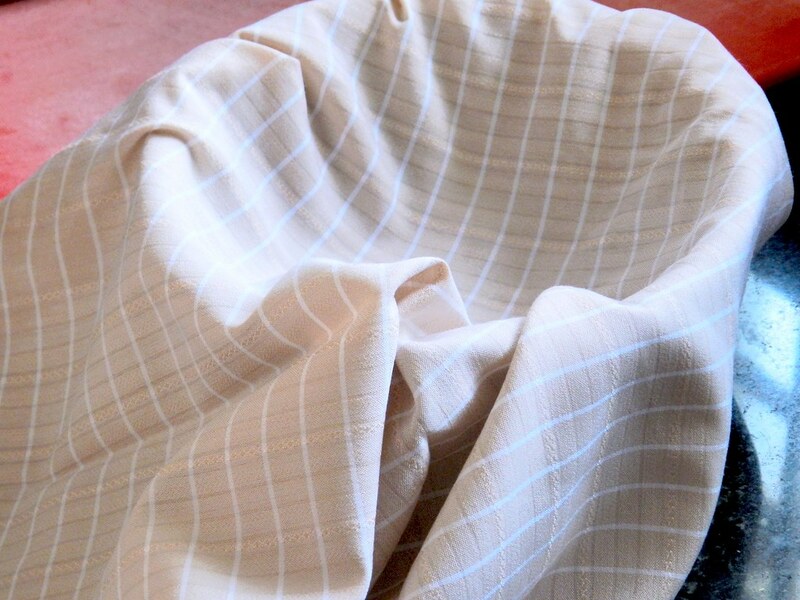 Step 5: Keep ready another vessel lined with a cotton cloth or a muslin cloth. 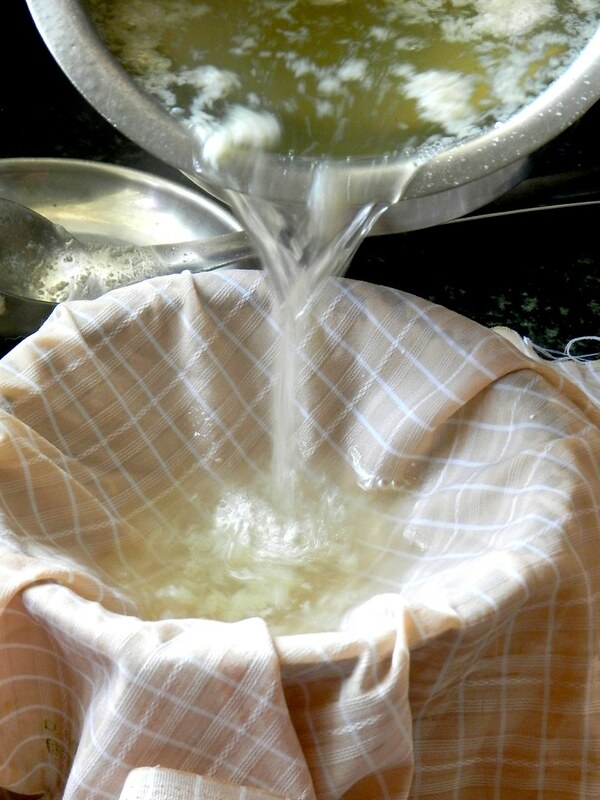 Step 6: Strain the solution through the cloth. 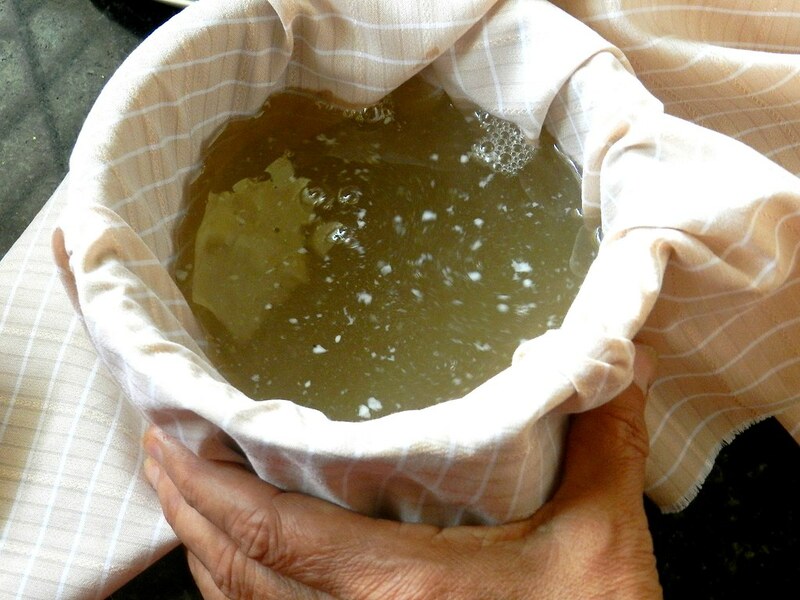 This step removes any impurities that would have been present in the sugar. 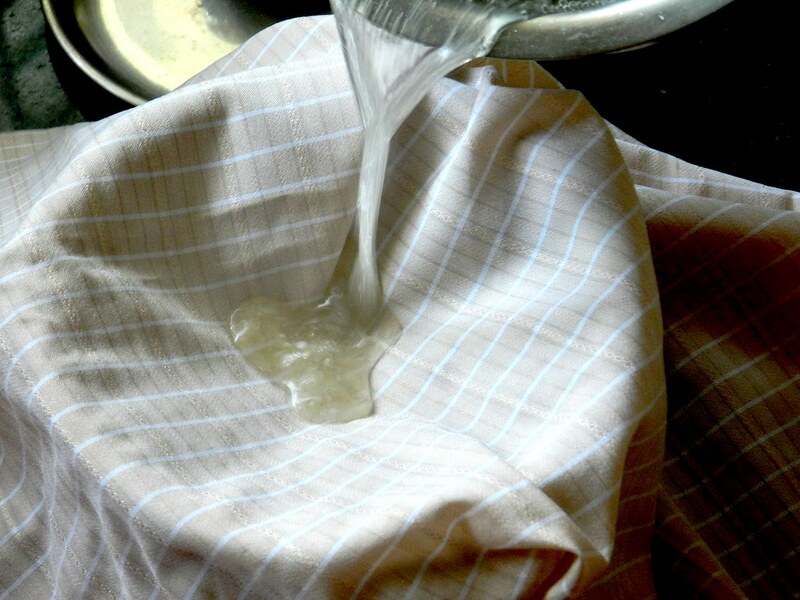 Wash the cloth completely. 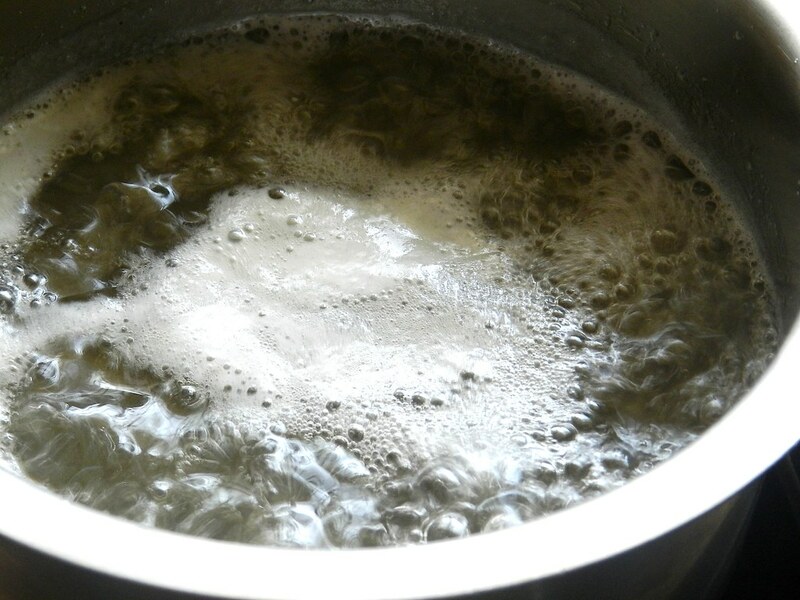 Step 7: Again bring the strained solution to a boil on a low heat. 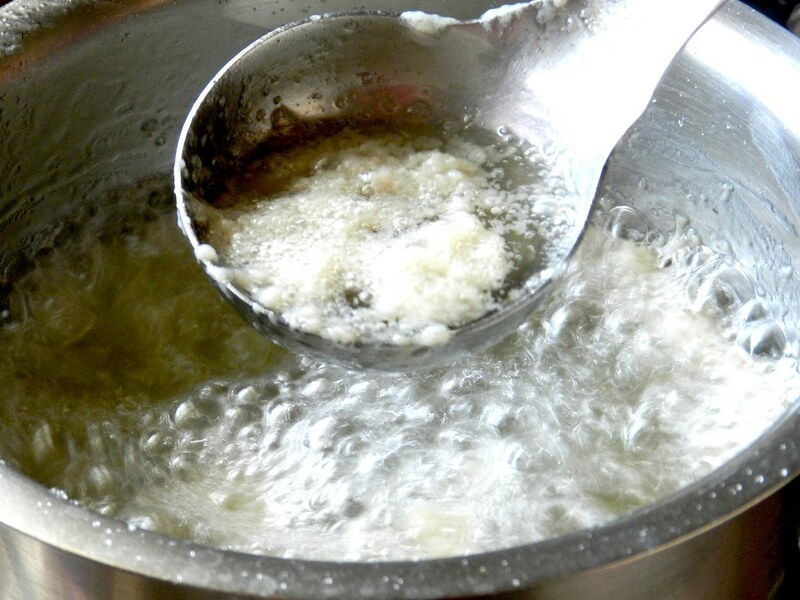 Add milk to the boiling solution. 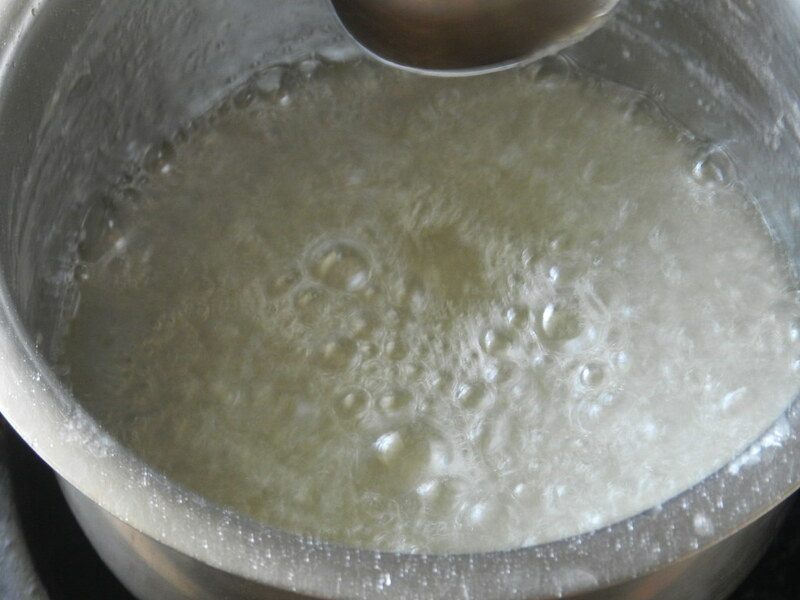 Step 8: Once milk is added you can see pale white colored scum or residue in the solution. This step step is to remove all the extra brown dust from the sugar solution just to make sure you finally get white sugar moulds. Turn off the heat. 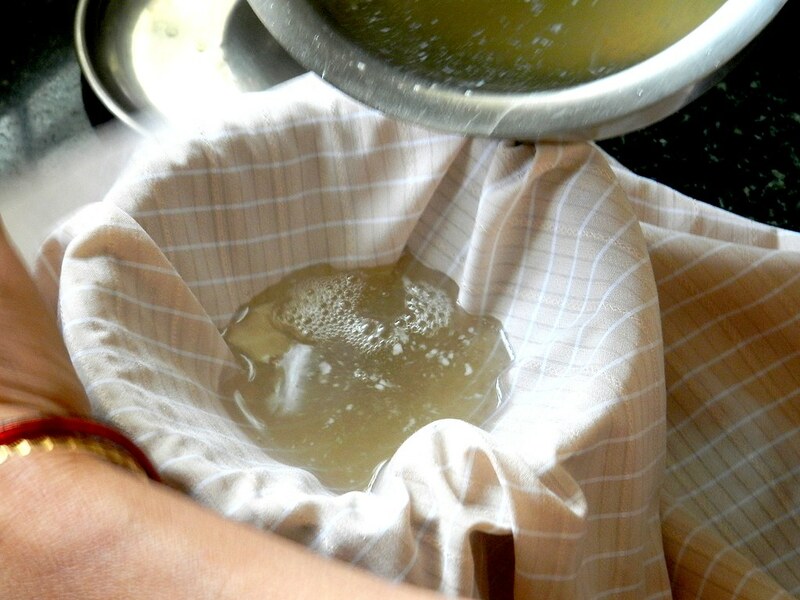 Step 9: Strain the solution to hold back the residue in the cotton cloth. Wash away the scum and clean the cloth. Keep the solution aside. 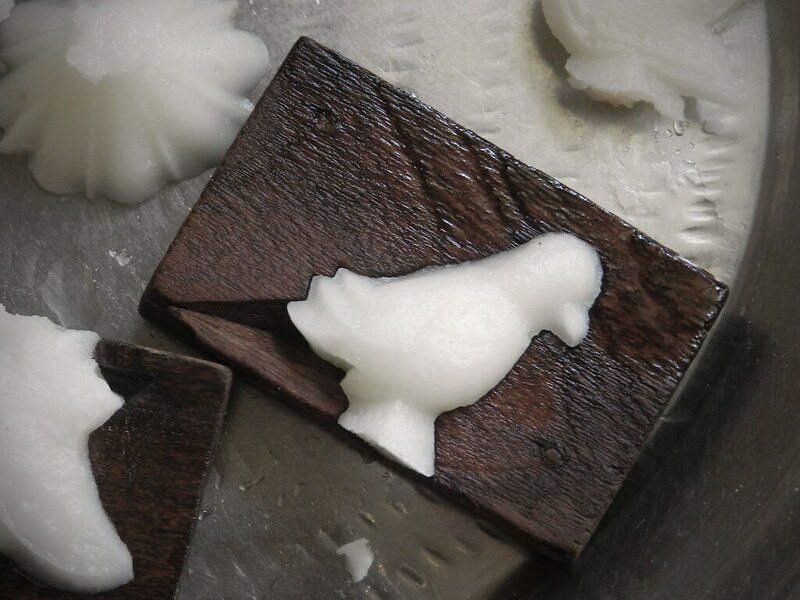 We'll be using this solution in small quantities to prepare the moulds. 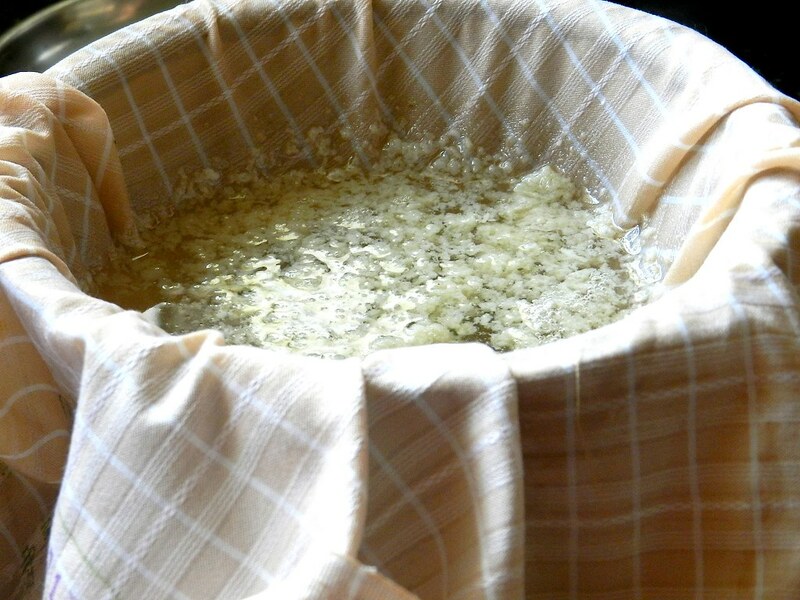 Step 10: Wipe the soaked moulds and keep them ready. 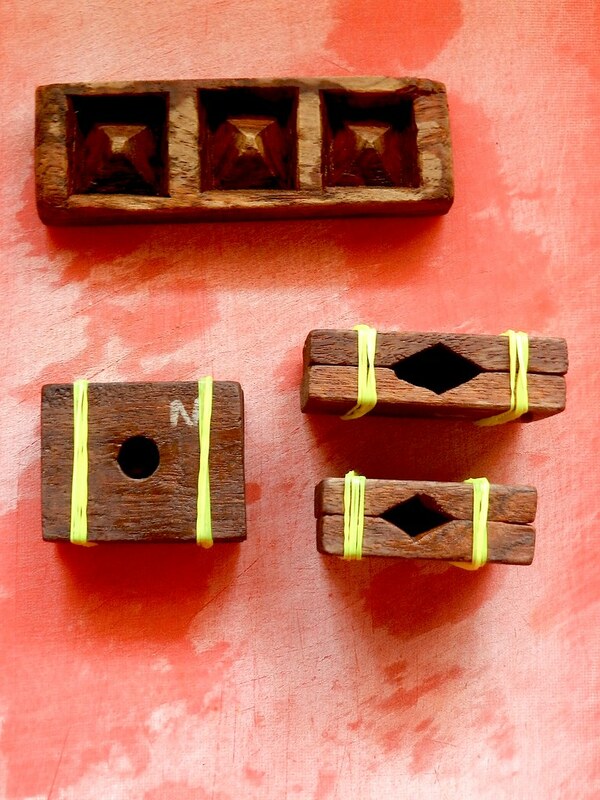 Join the pairing moulds and tie them together with rubber bands so that they stay steady. 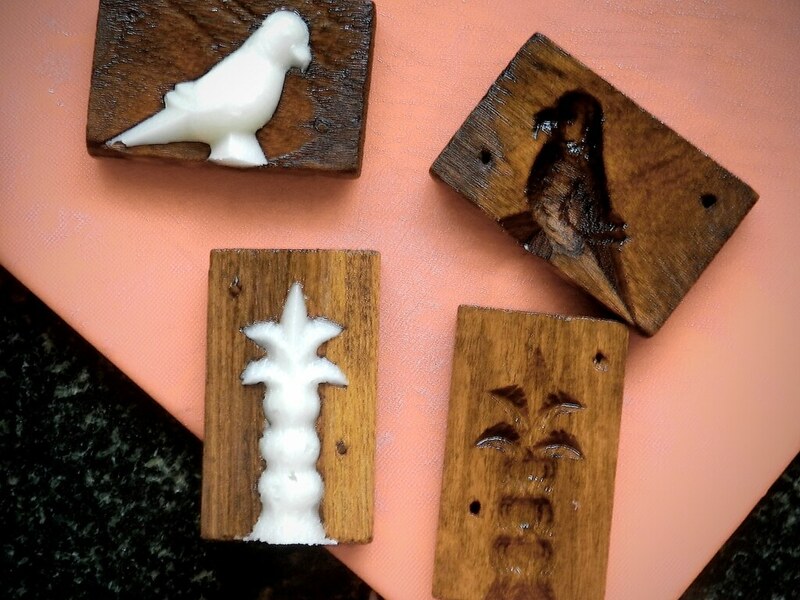 keep about 3 to 4 moulds ready. 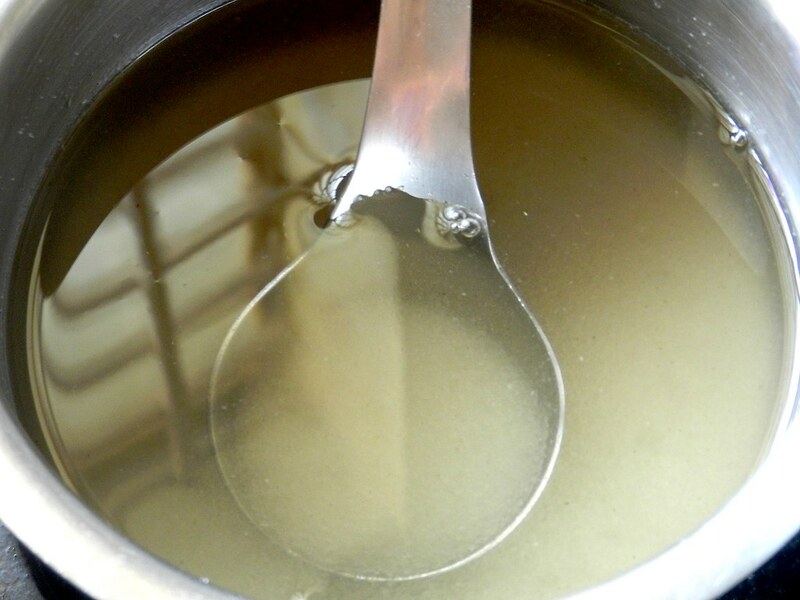 Step 11: In a clean vessel, take about 3/4 cup of the prepared solution. 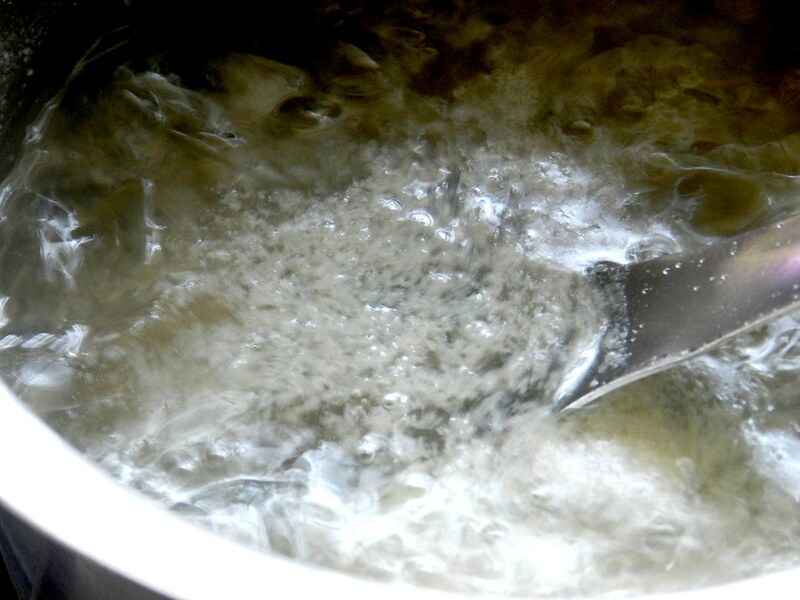 Bring the sugar solution to a boil on a low heat. Initially you'll see large air bubbles. 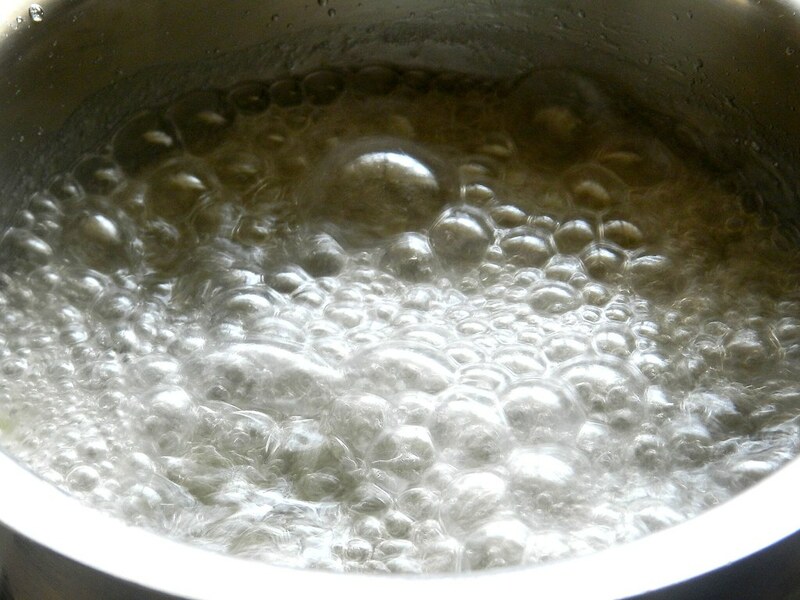 After about 5 minutes you'll get to see very tiny sized air bubbles in the solution. Turn off the heat. Step 12: Keep the vessel on a counter and using a spoon stir the solution vigorously until you get a pale white solution. 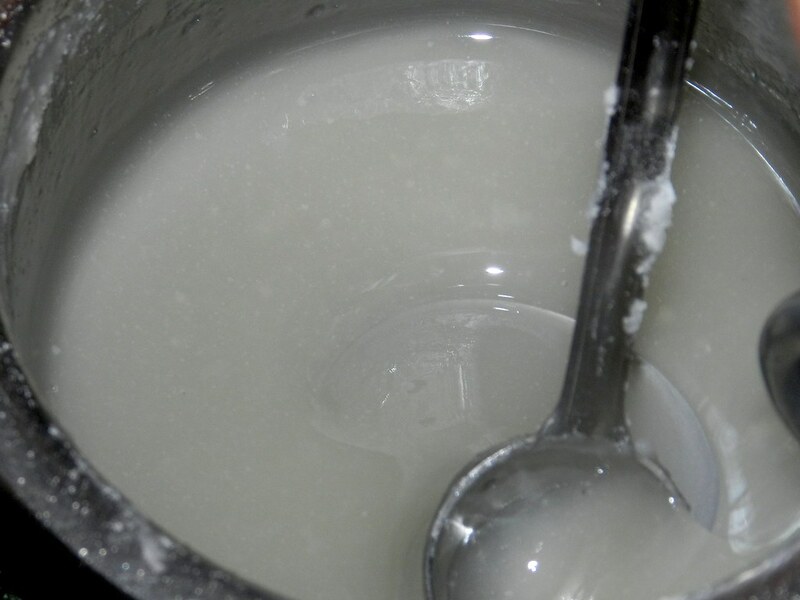 Step 13: Immediately spoon the solution into moulds through the openings. 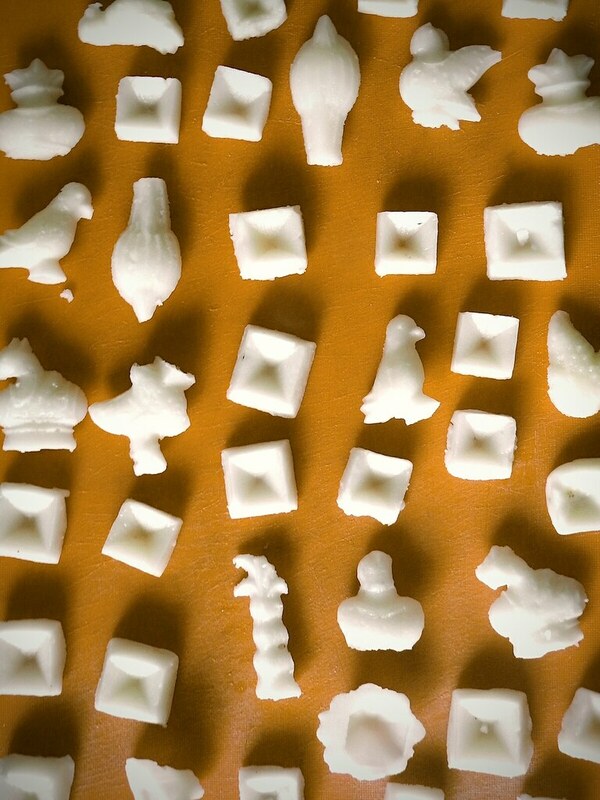 Tap the mould on the counter as you are adding the solution so that the solution trickles throughout the mould. Make sure you pour them as fast as you can, since the solution solidifies too soon. Step 14: After 10 minutes the sugar solution sets and solidifies. Remove the excess bits of sugar and keep them aside. 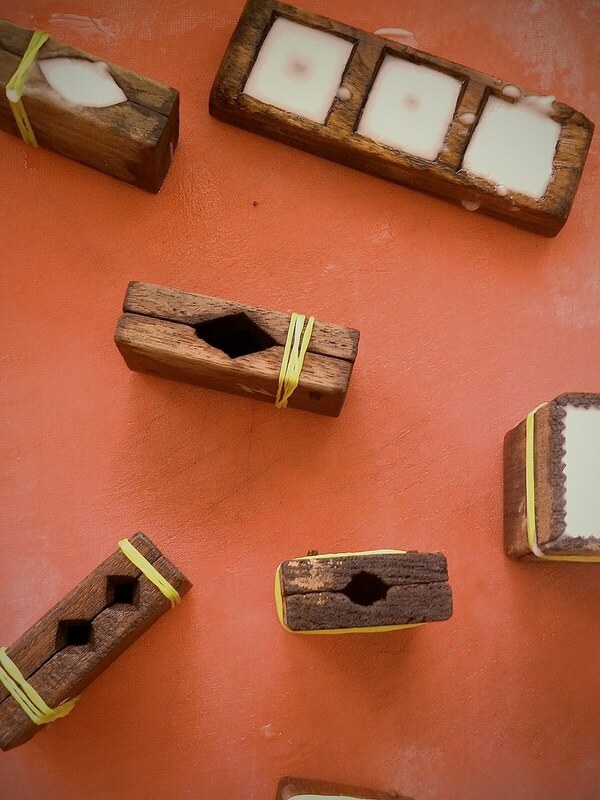 Remove the rubber bands and unmold them. 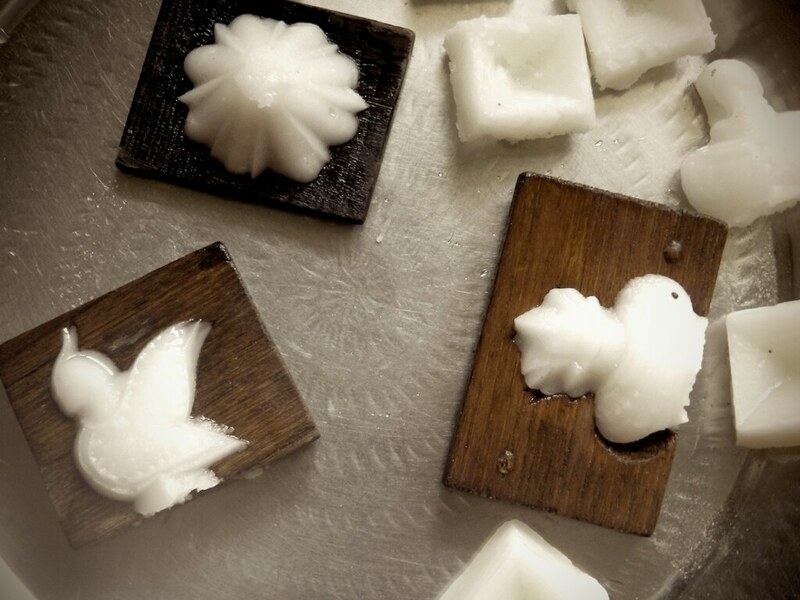 You'll get a pretty shaped white sugar mould. Step 15: Repeat from step 11 with the remaining solution in batches. 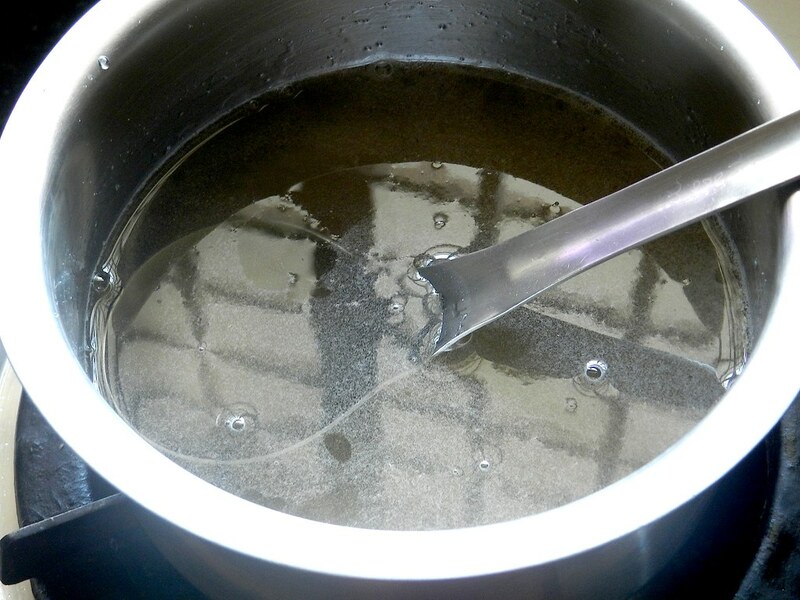 In the consecutive steps, add the remains and bits of sugar obtained in Step 14 into the boiling solution and then continue the process. 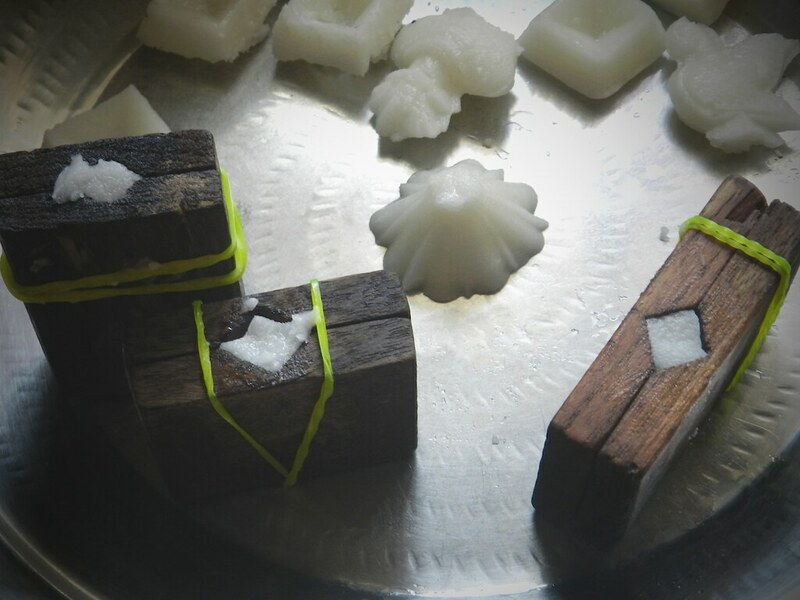 ದೊಡ್ಡ ಸಕ್ಕರೆ ಅಚ್ಚು ಮಣೆಗಳು ಎಲ್ಲಿ ಸಿಗುತ್ತೆ ತಿಳಿಸಿ. Hi Anuradha, apologies for my late reply. 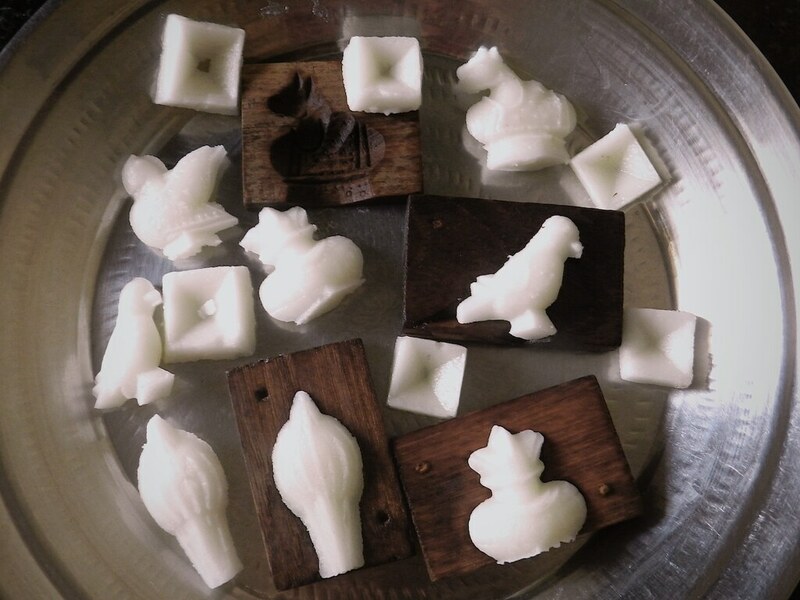 Sakkare achchu moulds are easily available in Udupi, car street. You can also try in Jayanagar complex, Bangalore. But I suppose you can find them only during the Sankranthi season. 1. Where do you get the moulds? 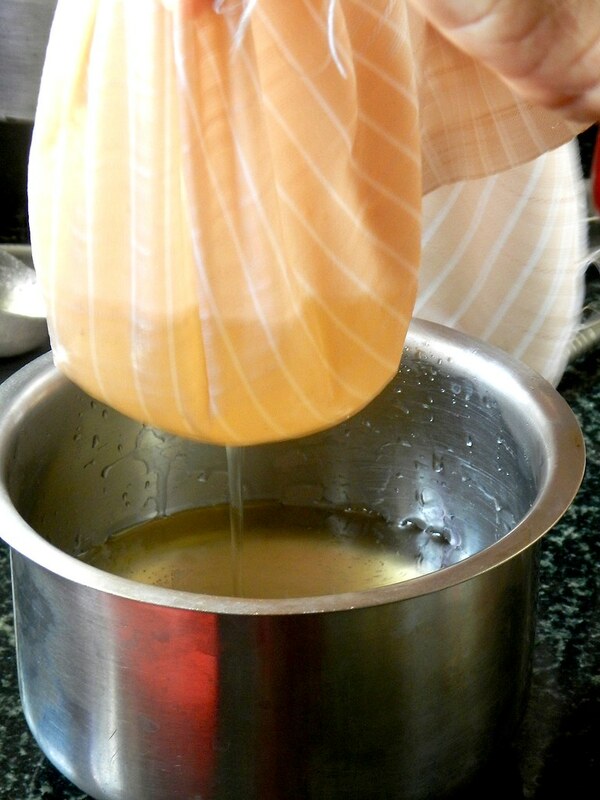 loved your posts especially saaru samaradhane, we had it and I have been hunting for the receipe. 2 questions. 1. 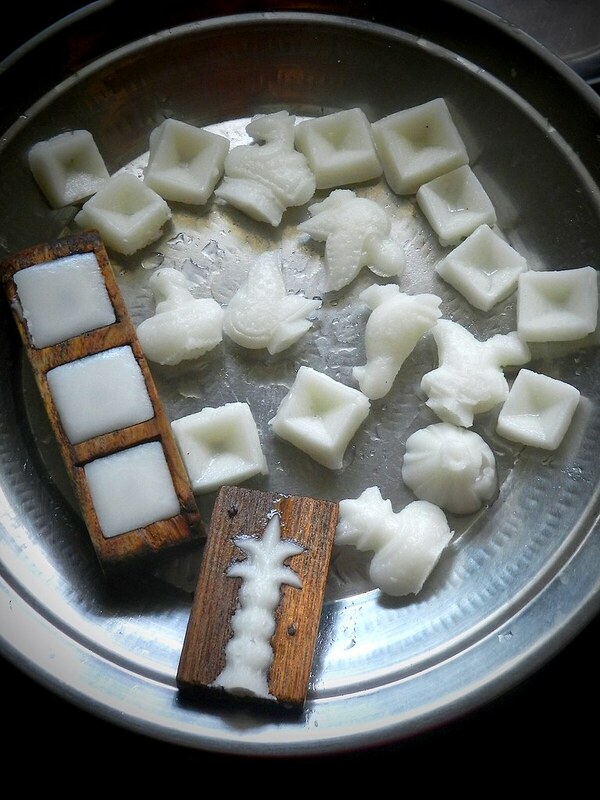 Where do you get the sakkarai moulds? Blore or Delhi. Beautifully presented..well explained…loved your post. Very nice post! 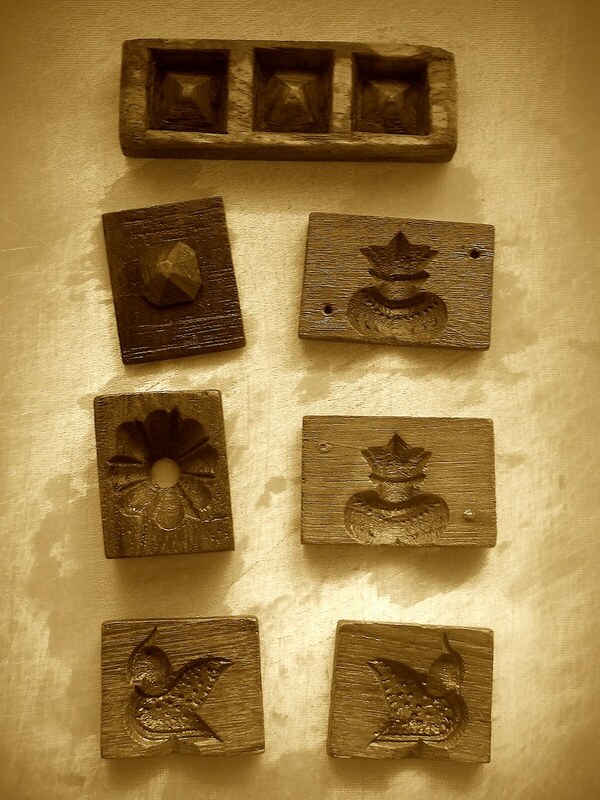 The sugar moulds look perfect! Thanks to your MIL. She has relived the bygone methods of traditional Indian cooking! Too good to be true. Im a huge fan of your blog. these kind of recipes indeed test the patience level of a woman! kudos to you and your mil :-) i would love ti try these one day.